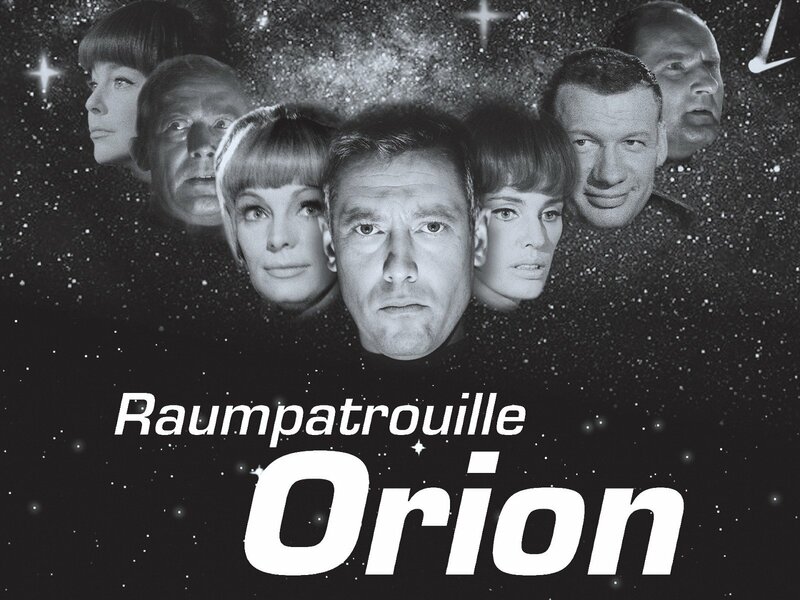 Or, in the original German, Raumpatrouille – Die phantastischen Abenteuer des Raumschiffes Orion. Usually abbreviated as Space Patrol Orion or Raumpatrouille Orion. A classic 1960s science fiction television show, a cult classic, in fact. What’s that, you’ve never heard of it? Well, that’s probably because (as you’ve likely guessed) it’s 1960s German science fiction television, filmed in black and white, never dubbed, and, possibly only recently becoming available with subtitles. The only place I’ve found so far is on YouTube, at least in a way that I can enjoy it. How did I even find out about it, you ask? Well, on Facebook (yes I still have Facebook) a friend of mine posted a small clip from it that he gotten from some group or website or shared to him by some else with a couple of odd dancing scenes. Filmed in 1960s, in black and white, the caption was something like, “this was how people in 1960s thought we would dance in the future.” It was weird, stylized, formalized, and very structured. It was also very 1960s. So I decided I wanted to figure out the show it came from, to see if that was just as 1960s. In this day of everything interlinked everything else, it actually didn’t take an awful lot of Google to track down in German and only a few seconds longer to locate a version with subtitles. And I quite enjoyed the first episode. Special effects aside, and those were probably pretty impressive in the 1960s, especially the robots, the show is clearly a product 1960s. It’s hard not to set it beside the giants of the science-fiction TV genre from the same time and see it compare favourably, most specifically with Star Trek. There are certain similarities in outlook and ideas, but it’s also very, very different. A similar level of specialized technology and technobabble, some keen fashion sense on the uniforms. Sometimes, the pacing is what we might consider slow when put next to modern TV, but it works. Still comparing to Star Trek, in some ways the writing is less mature, and in some ways more complex. There is an overall story arc to the seven episode series (yes, only seven episodes, unfortunately) which, in North American TV was unheard of in time. Two episodes with the same story linking together were difficult in those days. But not, apparently, in Germany. And there was a lot more attention to background. Less use of background painting, and more physical sets, and in social places there were plenty of extras actually being social. See the aforementioned dancing, which never seems to be a real focus, but whenever characters are gathered in the bar on the base, which happens regularly during off duty time, there is futuristic music playing, and futuristic dancing going on. There’s an attempt to give the show international flavor, although not quite as international Star Trek, and mostly through the use of names. It is 1960s Germany, after all, and their choices of actors were fairly limited in that regard, so you get a German actor as an Italian character, a Swedish character, a Russian character, and so on. Not so different, really, but with fewer ethnic backgrounds available. It’s actually pretty cool to watch, and it’s sent me on the beginning of a search for other classic, non-English, 1960s, 70s, and 80s science-fiction to watch. I can pick up a word or two here and there of a number of languages, especially numbers, but don’t speak anything competently other than English, so I’m glad for subtitles (and actually prefer them to dubbing as that usually disrupts the tone of the speech for me). But there’s a lot more out there than North American entertainment. It’s a big world. As I get older, I want to explore more of it. The link to the first episode (subtitled) of Orion on YouTube is at the end of this post. If I come across anything else really cool in my search, I’ll probably pass that along, too. Orion, a serendipitous find through an unlikely moment, has made me wonder what else I’m missing, and it’s made me wish I had a lot more disposable income so I could go to some different science-fiction conventions around the world, and see what things are like beyond my own borders.